How can I view my roster from the RosterElf tablet app? To view your rostered on the go from your Android or Apple tablet, download one of our free apps. 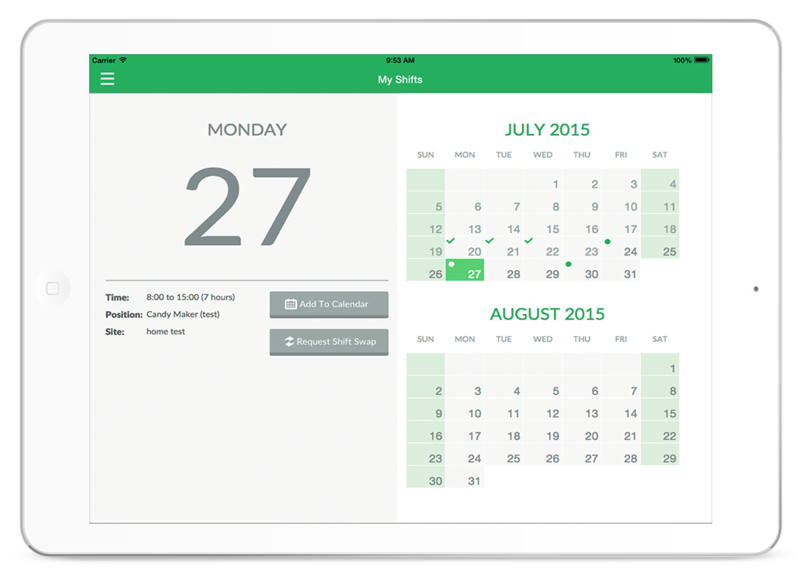 When you log into the app, the “My Shifts” section will appear similar to below displaying an overview of all shifts that you have been rostered on to work. Simply click on one of the shifts and you will be able to view more detail including any supervisor notes. This screen on the tablet also has a button to “Add to Calendar” and button to “Request a Shift Swap”.